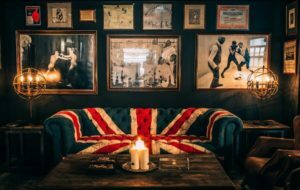 Our design crush this month is British furniture designer Timothy Oulton. 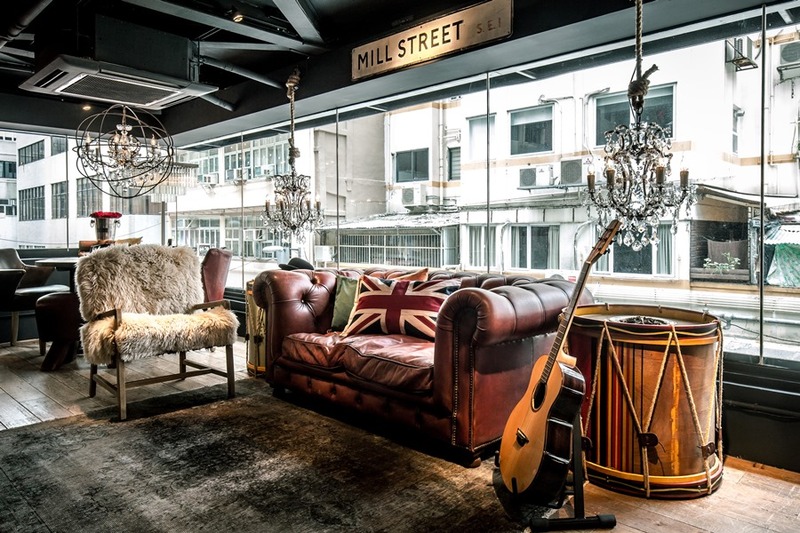 Known for creating furniture with a modern twist on classic and antique pieces that are a delicious feast for the eyes. 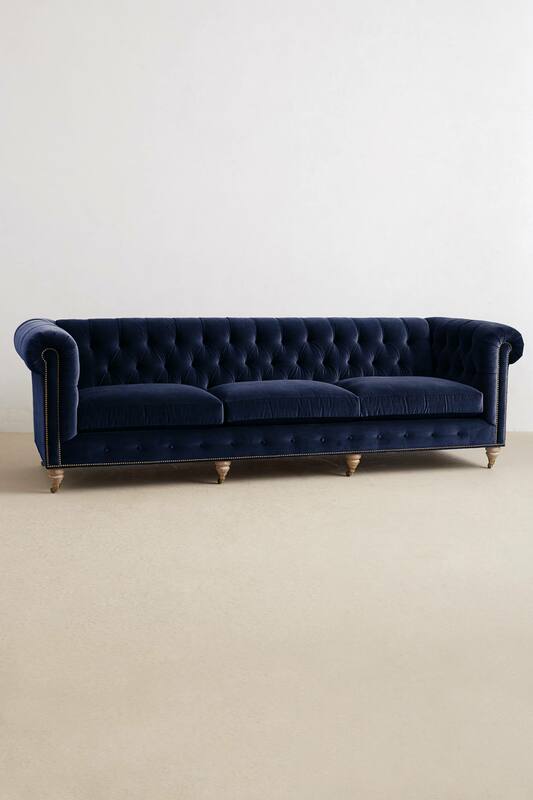 Oulton can spin a classic Chesterfield sofa like no other. His take like the Bensington, as seen above, is from his University of Oxford collection. 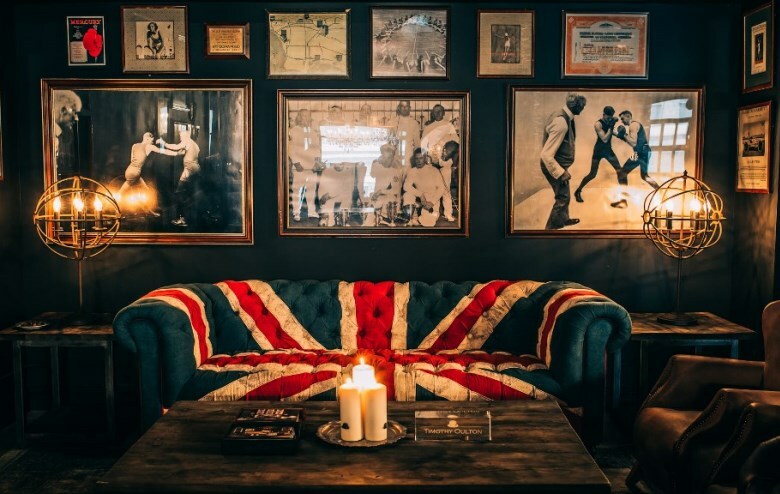 Meanwhile, no man cave will be edgier or more inviting than with the Union Jack Chesterfield like the one featured in the ‘club within a club’ at LA Sports Club. 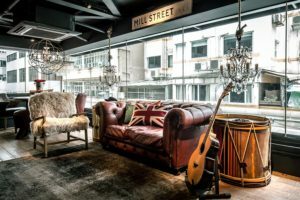 Oulton’s immersion in his father’s antique business is evident in his craft where vintage + men’s club vibe + modern + glam = fresh innovative design. From drums to searchlights these seemingly average items become spectacular under his spell. With 37 stores now globally, Oulton is enjoying great success. 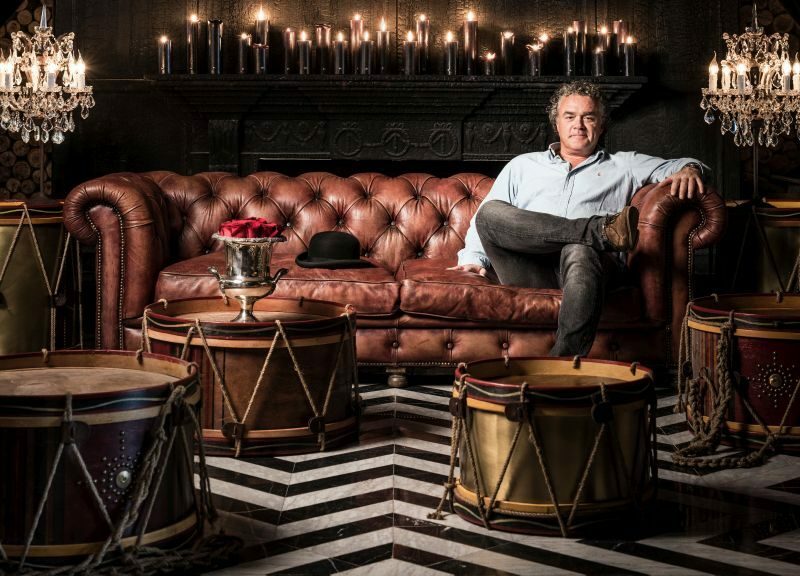 In recent years, he brought to the masses a greater awareness of his collection through the collaboration with Restoration Hardware. 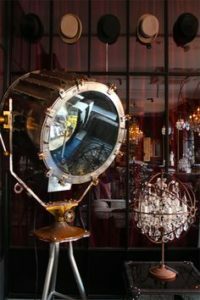 While his collection with Restoration Hardware is vast one can find Oulton’s imprint across many designs from the Aviator to the Clouds. The Jigsaw Design team members collectively believe we will all have a design crush on Mr. Oulton for quite some time. 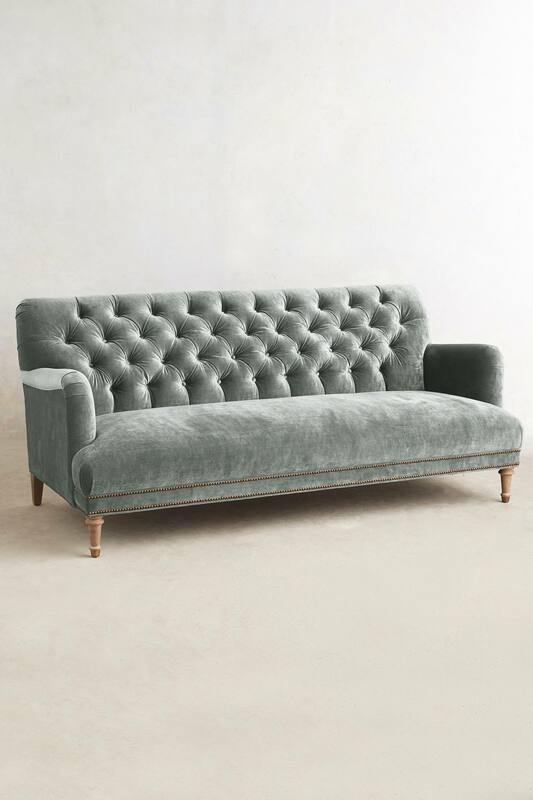 A passion for the elegant and timeless Chesterfield sofa is on the rise. 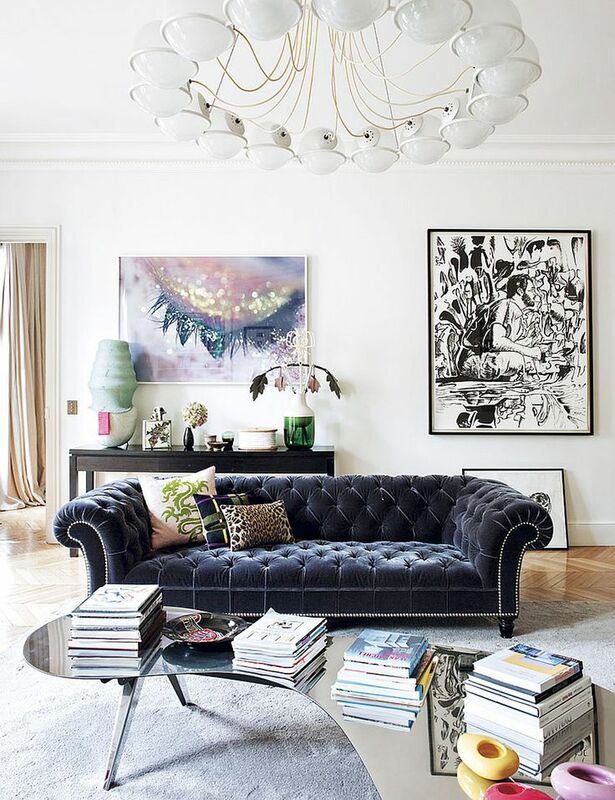 This handsome classic tufted sofa can fit harmoniously into most genres of style; from a city loft to a vintage lair the tufted sofa adds that perfect touch. 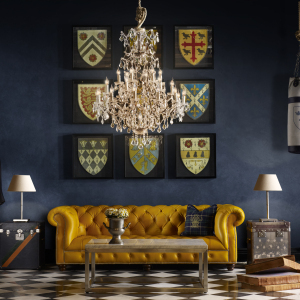 Legend has it that the 4th Earl of Chesterfield commission the first tufted sofa with a deep seat in the early 1700s hence its name sake. While being both patron of the arts and a politician, Lord Stanhope and Voltaire likely had some interesting debates about life on his comfortable yet groundbreaking sofa. 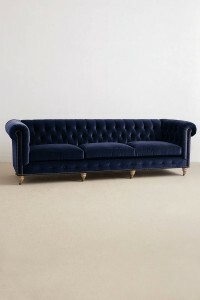 Interestingly, Anthropology’s Lyre Chesterfield, which is modeled after this 18th century treasure goes for a cool $3K. The Jigsaw team’s favorite attribute of their rendition is it’s availability in 18 colors. 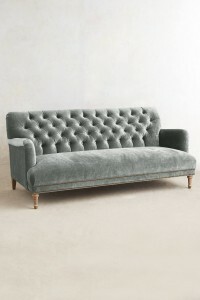 Finished with button-tufts, trimmed with nailheads, and rolled English arms complete this quintessential style. For those lovers of antiques and traditional elegance this is the sofa for you. If you’re a fan of all things retro, then you mid-century brat packers head to Room Service or Mod-shop for the Hot Pink Sinatra Tufted Sofa. 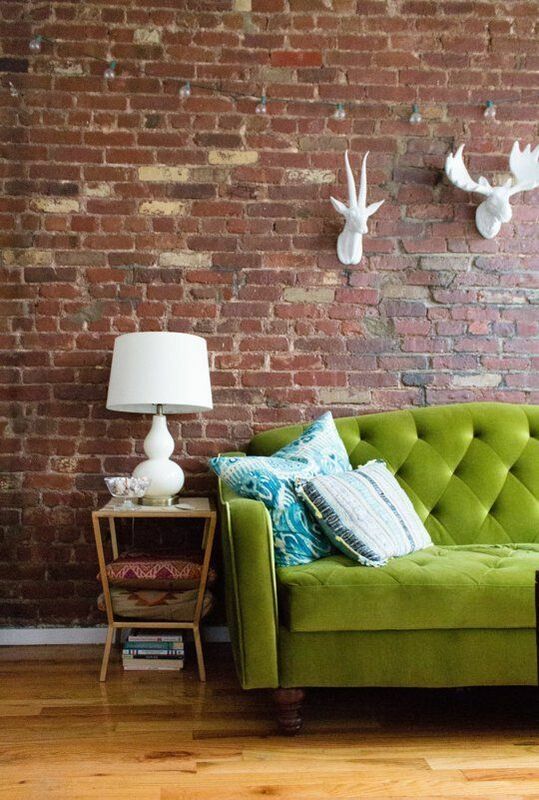 Complete with nailhead and in a rainbow of colors this retro chic modern chesterfield is swanky yet cozy. Gracing royal palaces and chic abodes around the world for centuries this luxurious style had many interpretations. 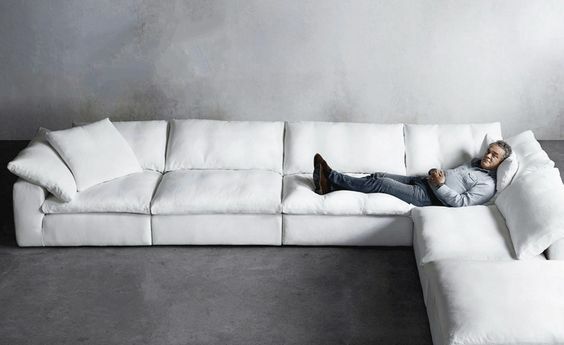 Take Roche Bobois’ point of view with the fresh take on the chesterfield by Phillee Bouix. 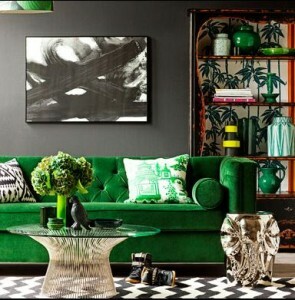 Upholstered in Cabaret velvet and silk this look is sleek and updated. 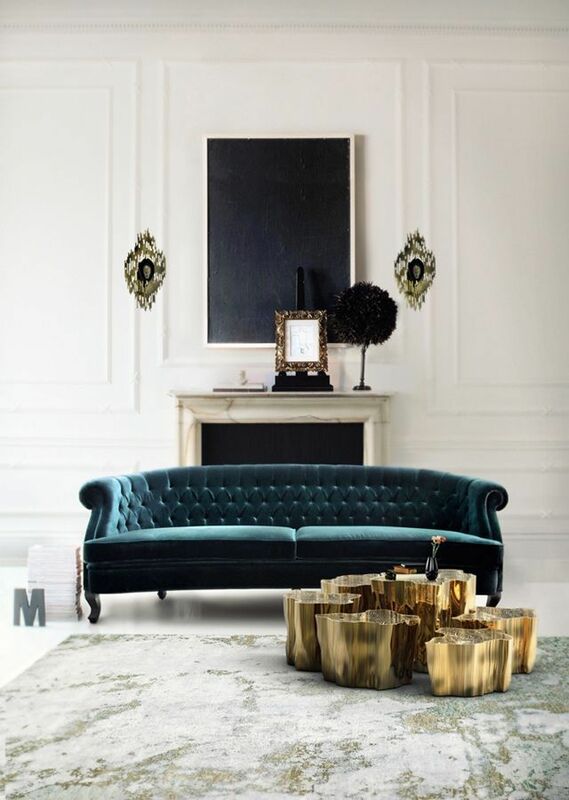 We feature our favorite Chesterfields in velvet throughout this post as this rich texture creates such an inviting and luxurious layer to a room. 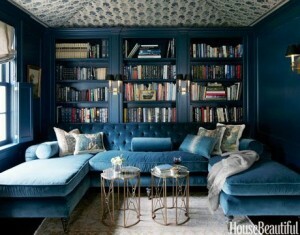 We love the chic and sophisticated tone on tone teal blue u-shaped sofa in Schumacher silk velvet with matching walls. 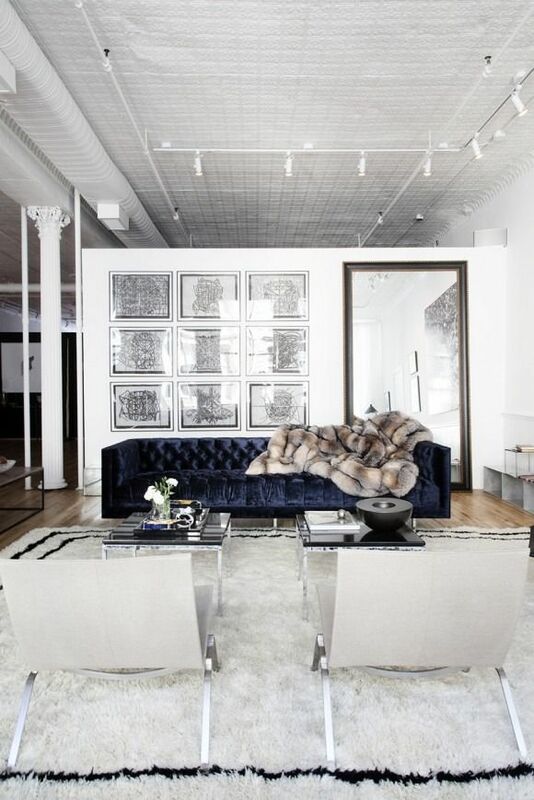 Whatever your style, there’s nothing tough about loving tufted! For more information on hot chesterfield’s plus resources visit the contact page on the Jigsaw Design Group website at www.jigsawdesigngroup.com. Someone will quickly contact you with more information. Please subscribe to the blog for more informative articles like these, and check out our Facebook page for more tips and images! Be sure to ‘like us’ on Facebook! Now join us on Googleplus too!